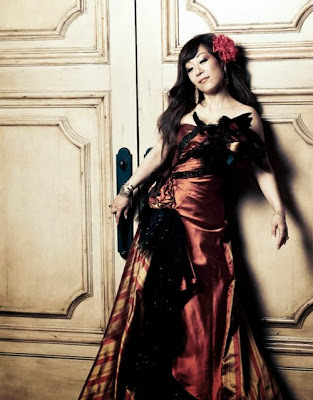 Sumi Jo is a Grammy award winning South Korean lyric coloratura soprano known for her interpretations of the bel canto repertoire. She graduated from the Accademia Nazionale di Santa Cecilia in Rome after 3 years of study in keyboard and vocal music. In 1986, she made her operatic debut as Gilda in Giuseppe Verdi’s Rigoletto at Teatro Comunale Giuseppe Verdi in Trieste. This debut performance attracted the attention of Herbert von Karajan, for whom she sang the role of Oscar in Un Ballo in Maschera at the Salzburg Festival, as a result of an audition in 1988. Since then, she has performed all the great coloratura roles such as the Queen of the Night in The Magic Flute , the title role in Lucia di Lammermoor, Zerbinetta in Richard Strauss’ Ariadne auf Naxos, Fiorilla in Il turco in Italia, Amina in La sonnambula, etc. at the world’s major opera houses, under conductors like Sir Georg Solti, Zubin Mehta, Lorin Maazel, and Richard Bonynge. Bellisima !!! Thanks you Betterthanbare, Muchas Gracias ! !